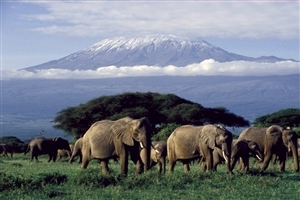 Marvel at the unique wilderness area of Samburu. Discover the beautiful landscapes of Aberdare with soaring mountain peaks and deep valleys. 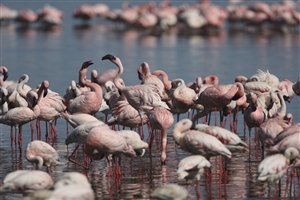 View scores of flamingos on Lake Nakuru. Arrive in Nairobi for transfer to your overnight accommodation before the afternoon is spent at your leisure before your adventure gets underway. 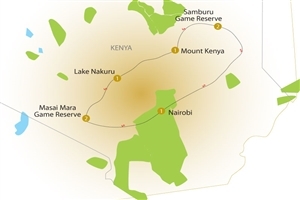 After an early breakfast you’ll leave Nairobi to head north for the Samburu Game Reserve, enjoying breathtaking scenery along the way as you travel past rushing mountain streams and through fields of tea and coffee. Having reached the dusty outpost of Isiola, you’ll head into Samburu for lunch at the lodge before an afternoon game drive. Take an early morning game drive before breakfast and the chance to relax, either by the pool or on the terrace looking over the river that flows nearby. 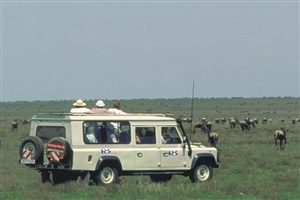 A second game drive follows in the afternoon. Leaving Samburu, travel south across the foothills of Mount Kenya to the major town of Nyeri and then on to Aberdare Country Club. 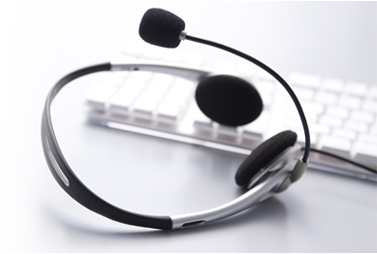 After a buffet lunch in beautiful garden surroundings, you’ll be transferred on to your overnight accommodation. On the standard option, that accommodation will be at a unique lodge called the Ark, resembled and named after Noah’s Ark and located overlooking a floodlit waterhole that attracts a wild selection of wildlife – including some of Africa’s ‘Big Five’. Those on the Superior option will stay at Kenya’s original tree lodge Treetops, which is legendary for its royal connections. An early start sees you head for Nyahururu, still known to many as Thomson’s Falls where you can enjoy the spectacular sight of water cascading over the near 250ft drop. From there, you continue to Lake Nakura, which is famous throughout the world for its flamingos. Lunch at your lodge is followed by an afternoon game drive to see the local wildlife, which includes lions, zebra and rhino. 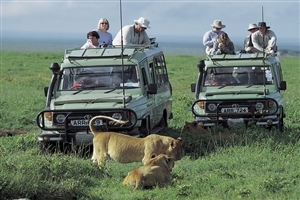 Journey via Mai-Mahiu to the town of Narok and then on to the Masia Mara Game Reserve, arriving in time for lunch at your lodge, which is located close to a dam where plentiful amounts of wildlife are regularly seen. An afternoon game drive follows. Spend the day enjoying two game drives in the reserve with its exceptional population of lions, leopards and cheetahs and the possibility of viewing all members of Africa’s 'Big Five'. 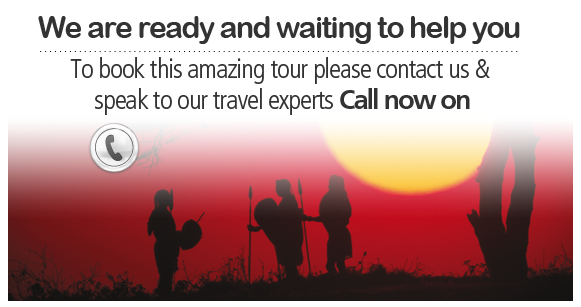 Leave the Masai Mara and journey back to Narok before taking the onward trip across the vast plains of the Rift Valley floor to Nairobi and the end of your trip.